The way that the U.S. government treats military veterans is absolutely disgraceful. Men and women that have given everything for this nation are literally being treated like human garbage by their own government. After watching how vets are treated, it is absolutely amazing that anyone is still volunteering to be a part of the military. We pay those in the military like crap, we keep sending our best soldiers back to Afghanistan and Iraq again and again, we don’t equip them properly, military suicides are at a record pace, hundreds of thousands of applications for veteran benefits are hopelessly backlogged, homelessness and unemployment among vets is much higher than for the general population, the condition of most VA hospitals is an absolute disgrace, and to top everything off now the Obama administration has started labeling military veterans as “potential terrorists”. What you are about to read should make you very angry. The abuse, neglect and outright disrespect that military vets receive from their own government is absolutely shocking. We owe these men and women a great debt for the service that they have performed for our nation, but instead the federal government kicks them to the curb and treats them with no honor whatsoever. The way a nation treats military vets says a lot about the character of that nation, and right now the way that America treats veterans says that we have the character of a steaming pile of manure. The U.S. military just keeps sending young men and women back to Iraq and Afghanistan over and over again without any regard for what the consequences might be. If you can believe it, an astounding 20 percent of all active duty soldiers in the U.S. Army are on at least their third tour of duty. Many others have done four tours of duty or more. The following is from a recent Christian Science Monitor article…. Some 107,000 Army soldiers have been deployed to war three or more times since 2001, or some 20 percent of the active-duty force. More than 50,000 of those currently in uniform have completed four or more combat tours, Army figures indicate. The physical, mental and emotional toll of these multiple tours of duty should not be underestimated. It is absolutely unprecedented in U.S. history for so many men to be sent back into frequent combat situations so repeatedly. The price of this foolishness could potentially be felt throughout our society for decades to come. The fact that many of our soldiers are spending way too much time in active war zones is a big reason why military suicides are at a record pace so far in 2012. The stress of combat duty builds up over time. The physical, mental and emotional fatigue that comes with serving in combat is immense. Many soldiers see their marriages end, and others are left with severe physical and mental disabilities. At some point many serving in the military cannot take it anymore and they commit suicide. During the month of July, there were 56 suicides in the U.S. military in just 31 days. That is absolutely disgraceful, but very little is being done about the underlying causes of these suicides. Paying To Get Your Medal? Many U.S. soldiers return home from war only to find that they are being billed by their own government. 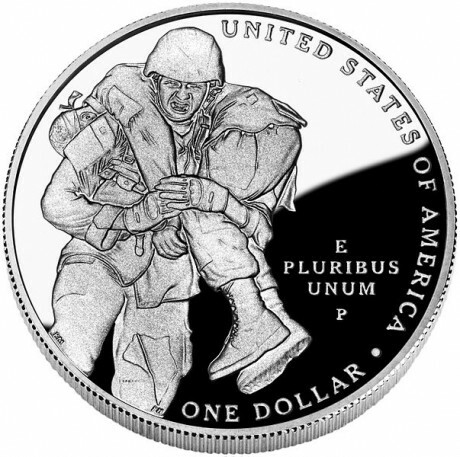 One soldier even discovered that he was going to have to pay a 21 dollar shipping fee to get his Purple Heart. The following is from the Huffington Post…. You would think that soldiers returning from war should quickly and easily be able to apply for the veteran benefits that they are owed. Unfortunately, the complete opposite is the case. As I have written about previously, applying for veteran benefits is extremely complicated, and VA employees are actually paid bonuses for denying claims…. Not only that, but a report issued by the VA’s Office of Inspector General said the department issued millions of dollars in performance awards to employees nationwide over a two year period in 2007 and 2008. Even if you do fill out your paperwork correctly, at best you are going to be waiting many months to find out if your claim is approved or not…. The average claim adjudication wait time is as few as 183 days or as many as 300, depending on who you ask. Claims processed in Oakland, Calif., the second-worst backlogged region in the nation according to a May Inspector General’s report, take nearly a year to get approved or denied. The backlog worsened in 2010 when VA Secretary Eric Shinseki added a handful of new medical conditions to the list of ailments presumed connected with exposure to the Vietnam-era herbicide Agent Orange, a move that was lauded by veterans’ groups. But this month the VA officials announced they were nearing the end of processing about 230,000 retroactive Agent Orange claims. And the majority of the nearly 920,000 total claims still pending before the department remain overdue. Many veterans feel that they would be better off sending their documents into a black hole than sending them to the VA. The level of negligence at some VA offices is absolutely shocking…. Back in 2009, a VA office in Detroit turned in 16,000 unprocessed mail and 717 unprocessed documents that were stuck in storage and hadn’t even been looked at. Many other documents were found in shredding bins, not just in one office but in several regional offices. The truth is that thousands upon thousands of vets that legitimately should be getting benefits are having their claims denied. Just check out the following example from a recent Veterans Today article…. How can we treat our vets this way? The unemployment rate for veterans is much higher than the overall rate of unemployment, and military veterans are losing their homes at a much faster rate than the general population as well. According to Veterans Today, a shockingly high percentage of military families have been losing their homes since 2008…. Figures lie, some groups are counted, some are not. But the lowest figures available have one in three families, this includes active duty serving overseas, reservists and National Guard and veterans losing their homes since 2008. The U.S. government does not prepare our vets to come back and reintegrate into society. They just kind of kick them to the curb and hope that they can find jobs. Sadly, homeless vets will be sleeping the streets of every major U.S. city tonight. The following is from a recent article in the Los Angeles Times…. According to the latest count by the Los Angeles Homeless Services Authority, the number of homeless individuals in Los Angeles County dropped by 3% between 2009 and 2011. The numbers declined for all groups except one: veterans. There were 9,000 homeless veterans here in 2011, a 24% increase over 2009. And the number of chronically homeless veterans — individuals who are homeless because of severe mental disabilities — increased by more than 100%, from 1,243 to 2,520. And more are coming. California’s Department of Veterans Affairs estimated in 2009 that 28,000 vets would return from Iraq and Afghanistan per year during this administration. Overall, it is estimated that 200,000 military veterans will be sleeping on the streets of America tonight. Say a prayer for them because they need it. When wounded soldiers come home from the battlefield the U.S. government has a responsibility to take care of them properly. Unfortunately, the truth is that many facilities for veterans are absolute hellholes. The following is from a recent article in the Washington Post…. Behind the door of Army Spec. Jeremy Duncan’s room, part of the wall is torn and hangs in the air, weighted down with black mold. When the wounded combat engineer stands in his shower and looks up, he can see the bathtub on the floor above through a rotted hole. The entire building, constructed between the world wars, often smells like greasy carry-out. Signs of neglect are everywhere: mouse droppings, belly-up cockroaches, stained carpets, cheap mattresses. This is the world of Building 18, not the kind of place where Duncan expected to recover when he was evacuated to Walter Reed Army Medical Center from Iraq last February with a broken neck and a shredded left ear, nearly dead from blood loss. How in the world can we do this to our vets? Today, it takes military vets an average of seven months to get an appointment at a VA facility. They are not getting the care that they need, and it would be a tremendous understatement to say that the condition of many VA facilities is absolutely horrendous. A while back, ABC News did an in-depth investigation of conditions at VA facilities across the United States. What ABC News found was absolutely shocking. The following are just a few of the things that they discovered during the course of their investigation….. This is the kind of thing you would expect in a third world country, not the United States of America. The federal government does not seem to have much respect for veterans at the end of their lives either. You would think that vets should be able to have the funeral services of their own choosing, but in some areas of the country the U.S. Department of Veterans Affairs has been caught banning the words “God” and “Jesus” during funeral services for veterans. Perhaps instead of spending their time poking their noses into funeral services they should spend their time processing some of those backlogged claims for veteran benefits. And the “end of life counseling” that many veterans are receiving is extremely disrespectful as well. The following is from an article in the Wall Street Journal that described the kind of “end of life counseling” that the federal government provides veterans…. When the government can steer vulnerable individuals to conclude for themselves that life is not worth living, who needs a death panel? On top of everything else, the Department of Homeland Security has labeled military veterans as potential terrorists. The following is a quote from a DHS report entitled “Rightwing Extremism: Current Economic and Political Climate Fueling Resurgence in Radicalization and Recruitment“…. Sadly, this kind of philosophy is not just reflected in policy papers. Now we are actually starting to see military veterans rounded up and shipped off to mental institutions for “evaluation” if they express views that the government does not like. For example, you have probably already heard about the Brandon Raub case by now. Brandon Raub is a 26-year-old military veteran who was forcibly detained by the local police, the FBI and the Secret Service on August 16th. He was shipped off to a psychiatric facility because of song lyrics and political views that he had posted on his Facebook page. Thankfully, the Rutherford Institute agreed to defend him and he was released a few days ago. But if he had not had a really good lawyer he could have been rotting in a mental institution for years. Unfortunately this does not appear to be an isolated incident. Just check out the following example from a recent article by Paul Joseph Watson…. Radio host Steve Quayle was sent news of an Army combat veteran and Purple Heart recipient in west central Ohio who was the victim of a police raid on the evening of August 22nd during which Miami County Ohio Sheriff’s deputies executed a search warrant to seize the man’s firearms for the “safety of the defendant and the general public,” according to the warrant. The veteran, who is currently unnamed, had his guns taken because he was adjudged to be mentally incompetent, despite the fact that his previous VA psychiatric evaluations were all clear, he is not on medication, and he had no criminal record. The man appears to be a respected member of the community – he works for a Christian company and his father is a police officer and a pastor. Once a military vet is determined to be “mentally ill”, he or she can be rounded up by the authorities at any time. And tons of vets are being labeled as mentally ill these days. In fact, one study discovered that approximately one-third of all military veterans returning from Afghanistan and Iraq were officially determined to be mentally ill. It is very dangerous to be a military veteran these days. So why should anyone volunteer to be in the military at this point? It has become abundantly clear that the federal government is not on the side of veterans. The federal government wants lots of warm bodies to throw into battle, but when those bodies get broken the government is not there to pick up the pieces. How we treat our veterans is a national disgrace. Previous postGLOBAL SOCIETY COLLAPSES! WATER SHORTAGES! BALONEY!